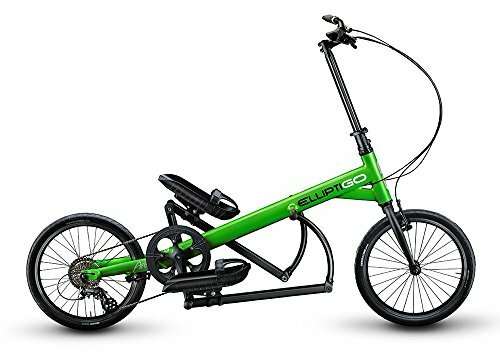 Experience the fun and comfort of elliptical cycling on the ElliptiGO Arc, our newest elliptical bicycle. The Arc's sleek aluminum frame is what enables it to be our lightest and most affordable outdoor elliptical bike. With eight gears and a compact stride, the Arc delivers a fantastic low-impact cardio workout experience. The Arc also gives you the ability to cruise comfortably, sprint off the line quickly and climb steep hills. Adjustable foot positioning keeps your feet comfortable without being locked in, and the telescoping steering extender makes it quick and easy to adjust the fit for riders of all sizes. 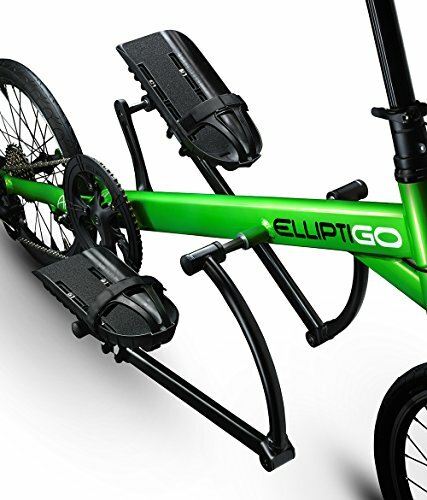 The steering extender is also removable, making the Arc easy to transport.